YES! Made it to 200 and still going... hahaha exciting! To the point of where I'm even starting to think about making a 366 project book, because I'll have 366 photos in the end, which is really quite the collection... what do you guys think? Yeay or nay? 199/366 - As part of the Kirkstall Art trail there was a pom pom installation. 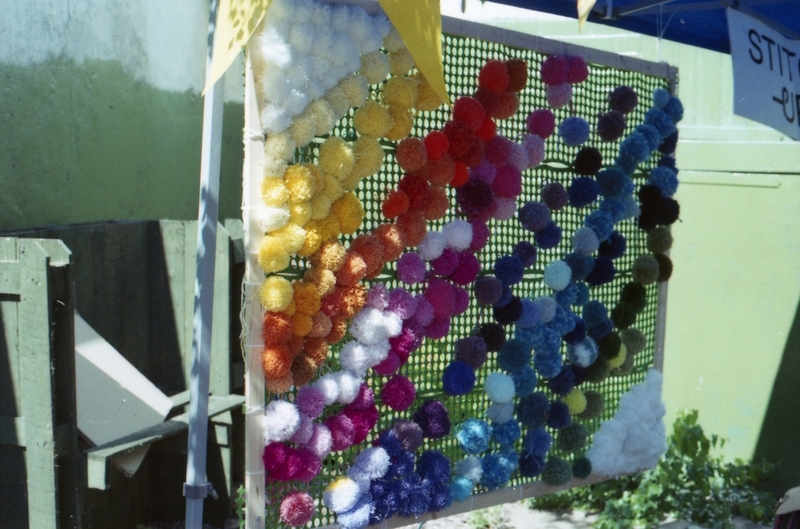 After having so many pom poms at our wedding (see photos here) I definitely wanted to see it but I must admit I answered very quickly with a NO when the exhibitor asked if I wanted to make any pom poms for the display. I don't think I'll be making pom poms again for a while hahaha. 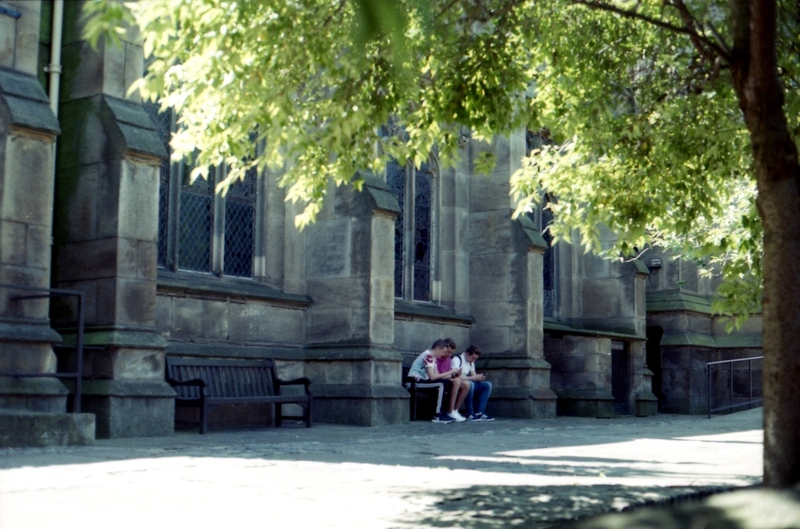 200/366 - The Minster in Leeds is now a Pokemon Go gym and I have to admit that I am loving seeing so many people playing around the area. My sister and I used to watch Pokemon all the time when we were younger so of course we've both been playing too and sending screenshots of the pokemon we catch to each other (best catches lately have been a Clefairy and a Hitmonlee). 201/366 - Its been so warm we're having ice cream in the office. My first choice is always chocolate and I love a Feast. 202/366 - Random stickers - perhaps someone didn't approve of the peeling paint? 203/366 - After saying I wouldn't buy any more cards, I bought the Moon Deck oracle... Oops. But it is so very lovely.